gamefan84 posted on his Deviantart account the most radical and awesome image ever. 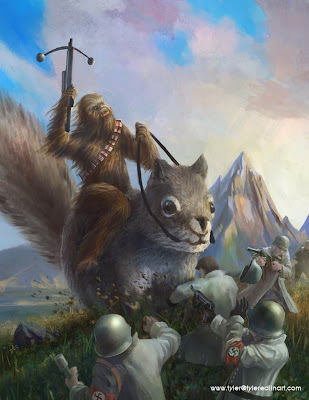 Chewbacca battling Nazis while riding a squirrel. Bumped on this through this post on Kotaku.